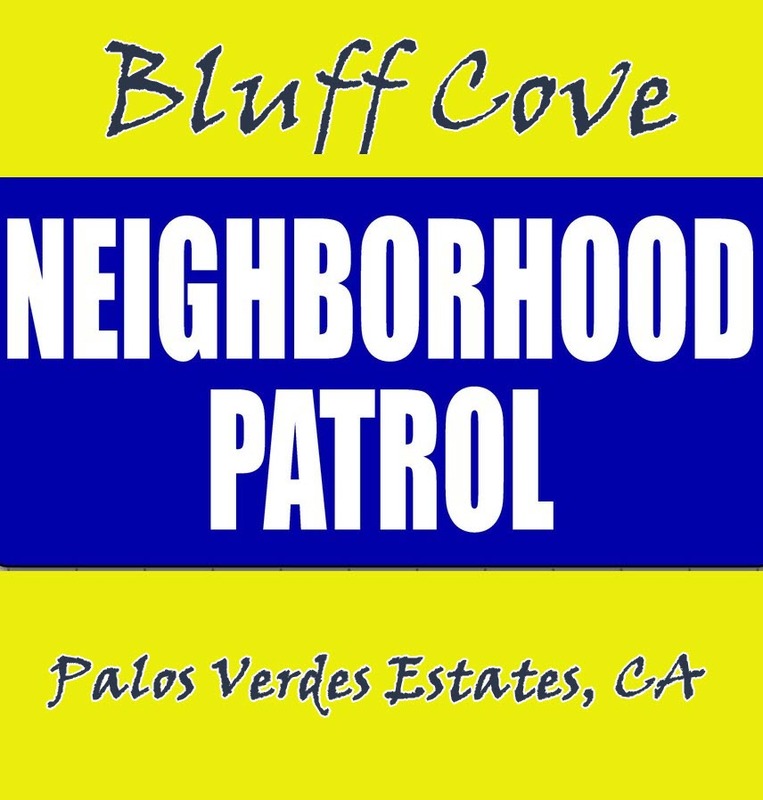 Bluff Cove Neighborhood Patrol, formed in 2008, is proud to report that as of February 2018 its members had reported more crimes to the Palos Verdes Estates Police Department in the past decade than all of PVE's Neighborhood Watch groups combined. 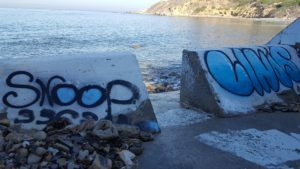 Such crimes include violations of the California Penal Code, California Vehicle Code and Palos Verdes Estates Municipal Code. 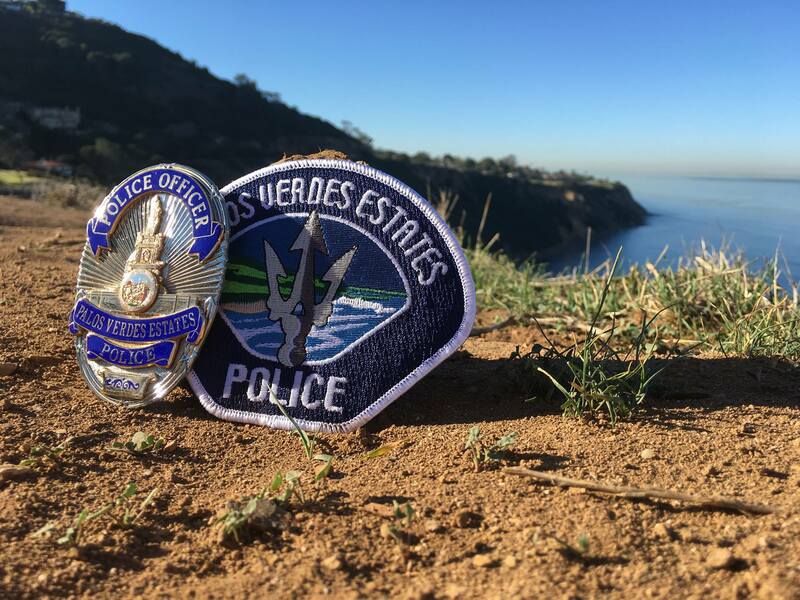 "Bluff Cove Patrol" also is responsible for the most citations being issued over the same period, and the most cases of successful civil litigation by the City of Palos Verdes Estates. 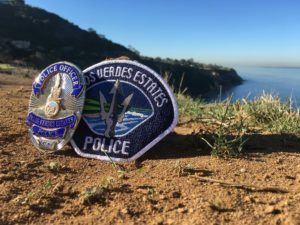 There is good reason for our track record: rather than merely "watching" the neighborhood from our homes' windows - depending on serendipity to catch lawbreakers, Bluff Cove Neighborhood Patrol actively keeps vigil throughout the Bluff Cove area. This includes making the rounds along Paseo del Mar and into the Cove itself. Recently in 2018, Bluff Cove Neighborhood Patrol expanded into Bluff Cove injured animal care, working with Marine Mammal Care Los Angeles. If you come across an injured seal or sea lion in the Cove, please call the Rescue hotline at (800) 399-4253 (WHALE). 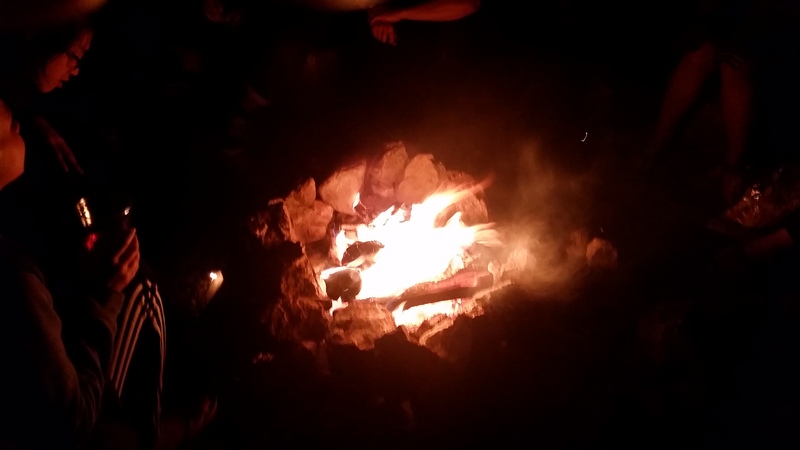 Coordination with and cooperation from law enforcement has been crucial to the success of Bluff Cove Neighborhood Patrol. Admittedly, given PVE's naturally low crime rate and very light traffic at night - the time of focus for our patrol - officers tend to be idle and ready to respond when we alert them to lawbreaking in the neighborhood. This allows for timely response that would not be available in inner, urban cities where officers ordinarily are busy with an array of assorted criminal activity. It is important that all Neighborhood Patrol agents never engage criminals directly. Instead, always call Police dispatch at (310) 378-4211.